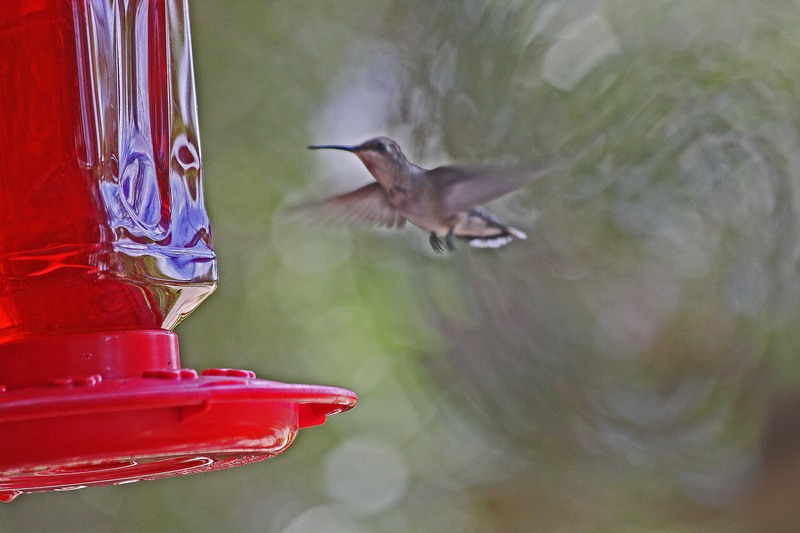 Unlike other birds, hummingbirds get a portion of their lift during the upstroke of their wings. Because flying objects cannot generate lift without creating drag, birds close their wings partially and set their "angle of attack" (the wing's incidence to the direction of flight needed for generating lift) to zero during the wasteful but necessary upstroke. That minimises the drag and conserves energy. They then get their lift and forward thrust using a high angle of attack during the downward working stroke. By spreading their tail feathers and curling the tips of their wings back as they bring them down, the large energy-loaded vortices spilling off the leading edge of each wing can be channelled in the required down-ward and rear-ward direction to provide both lift and forward motion. By contrast, to get the extra lift needed for hovering, hummingbirds do not simply flap their wings up and down, but oscillate them through a figure of eight pattern. By angling their bodies near to the vertical, the lift-generating vortices are thrust straight down beneath them. 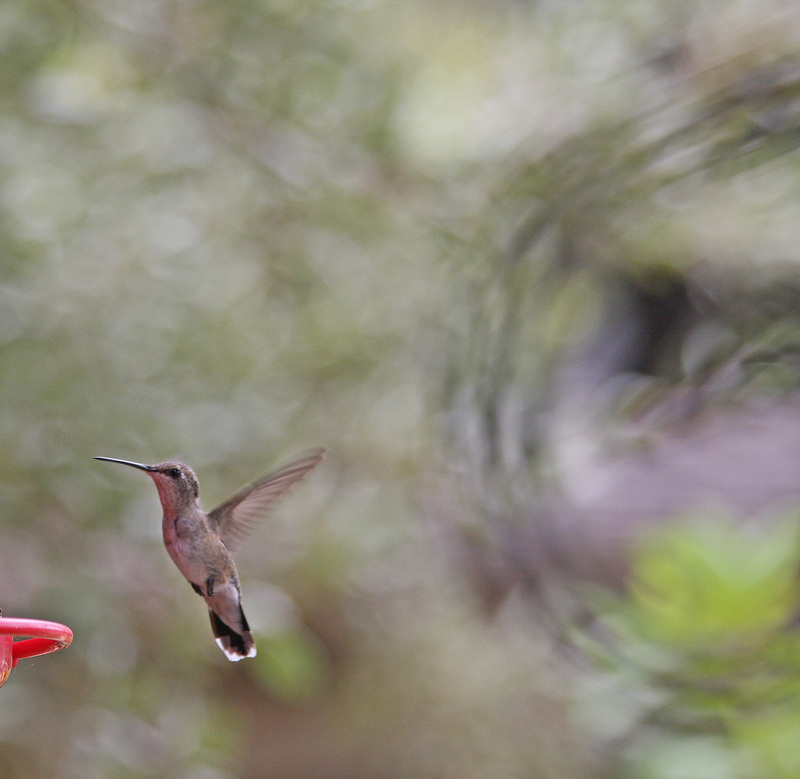 The hummingbird is literally buoyed on a vertical jet of air, with its head held stationary as it uses its long bill to feed. The wings create the main vortex with a high angle of attack on the downstroke. They then flip their wings around on the upstroke, so as to create another vortex on the other side of the wing.